Before you opt to buy a mini-split air conditioning (AC) system, you need to familiarize yourself with the advantages and disadvantages of ductless mini split air conditioning systems. Ductless mini split air conditioning systems are cited as cost-efficient alternatives for central ACs. However, they are more costly compared to the window-type models. Besides, you additionally need technicians for the installation purposes. The compressor is fixed outdoors, making them relatively quiet. It is commonly used in residential buildings. The mini split is similar to regular split varieties have indoor evaporators and outdoor compressors. 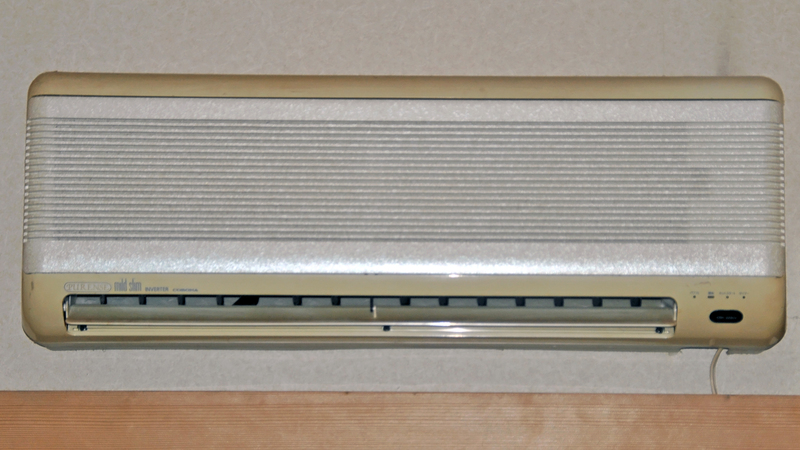 The ductless mini split air conditioner makes use of tiny channels connecting the interior and exterior components. The conduit has the suction and refrigerant tubes, power cables, as well as condenser exhaust mechanisms. The smaller models are relatively compact, with lesser noise and more adaptable for personal rooms. Even though it is undersized, the system can cool many areas, at the same time. The exterior unit can be linked to at most three more rooms. Each air conditioning system has an exclusive thermostat for you to cool the room you prefer at a time. The installation, however, may not be as straightforward as the window models. Nonetheless, the compressor may be situated as far as sixteen meters from the indoor unit to eliminate any sounds and noises from the house. You need to make a small hole to connect the interior and exterior components compared to window air conditioning units that need bigger holes. The ductless mini split AC also has its disadvantages. It would not function effectively, and cost twice the window air conditioner with the same cooling capabilities. That is the reason to why this should strictly be set up by professionals. If the central air-handling unit is not mounted in the right place or the size does not match with the exterior component, the unit may consume more electricity. The installation of mini-split air conditioners is relatively complicated. Unlike portable window systems, you still have to hire a professional installer. Many of these units are imported from the Asian and European countries, making it is hard to find a suitable installer in the United States. The ductless mini split units cost between $1,500 and $2,000 per ton. This is 30% more than the central air conditioning units sold in various appliance stores. The price does not include the ductwork. Moreover, many of the contractors for HVAC systems invest high amounts of money on training and instruments for metal sheet duct structures. They then pass on their expenses to homeowners, so contractors often insist on duct mechanisms. However, wall-mounted mini split air conditioning systems are fast gaining popular all over the globe. Therefore, this shows that tubeless equipment and appliances have found a way in various parts of the world. In the U.S, both homeowners and contractors look for newer means of using ductless mechanisms.